I bought this book when I visited one of Australia’s very few bookstores that specialises in crime fiction in Melbourne last year (actually it’s the only one I know of in the country). I’d never heard of the book but I loved the title. I’m counting it as my book set in Australia by a new-to-me author for the 2010 global reading challenge. In suburban Melbourne Cornelia Finnigan starts work as a private investigator at the firm of the son of her next door neighbour. The cases come thick and fast as she tries to find a young woman who has disappeared, investigates the suspicious arson attack on a $350,000 Ferrari and ascertains who poisoned two Pekinese puppies. All the while she’s trying to get her hands on a golden yo-yo that was once owned by Elvis Presley for a client who is desperate for the item’s return and some nefarious crooks are trying to get their hands on whatever is hidden in Cornelia’s new apartment. Perhaps needing a break from her work as one of Australia’s leading true crime writers Bowles appears to have had a lot of fun writing this modern-day caper and that energy translated to me as a reader. This was a fun book to read. Claudia has big feet, loves to shop but works hard too and has a nice line in sarcastic internal monologue. The references to fashion labels were a bit wasted on me (I am assuming they’re fashion labels) but easily ignored and I liked the fact she was depicted as being clever alongside being ‘girlie’. So often we see one or the other in fiction. As is the way of books in which mayhem ensues from the get go there are a plethora of wacky characters including 2 potential love interests who nearly come to blows, Claudia’s flamboyantly gay brother, a flatulent dog called Kissiface and a host of eccentric clients. Reading this book felt like going to a theme park for the day: filled with loads of laughs and odd things to look at with the occasional moment of eye-covering terror thrown in and a nice contented feeling at the end. It’s probably not the kind of thing everyone would like but it reminded me of the first couple of Janet Evanovich’s Stephanie Plum novels that I read and enjoyed if that helps you at all. 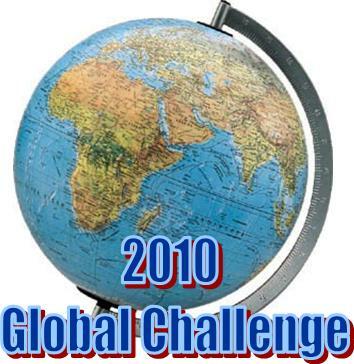 This entry was posted in Australia, book review, Global Reading Challenge 2010, Robin Bowles (Aus). Bookmark the permalink. Bernadette – Thanks very much for this review. Actually, that reference to the early Stephanie Plum novels helps a lot in understanding the pacing, action and so on of this novel. It sounds quirky and kind of fun (at least those characters do), so I’m glad you liked it. You really manage to find some gems! I’ve got to add this one to my To-Check-Out list. That list is like the universe…ever expanding.